This bib was designed to be an OEM matching pattern for the ribbed lacing seats & dash panels and uses the same spacing, lacing size, etc. 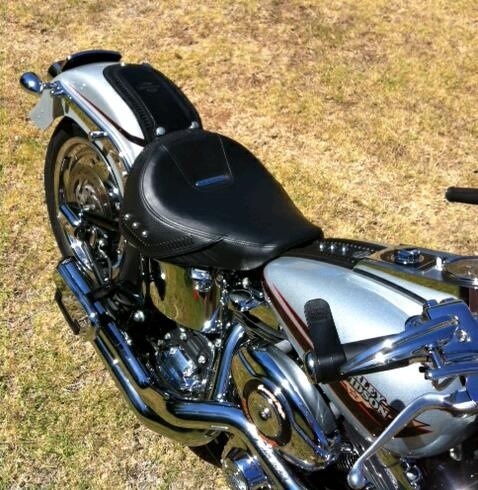 for a factory look with custom touches and all leather materials. Here’s a pic of the bib itself and a few shots of a previous one mounted up. 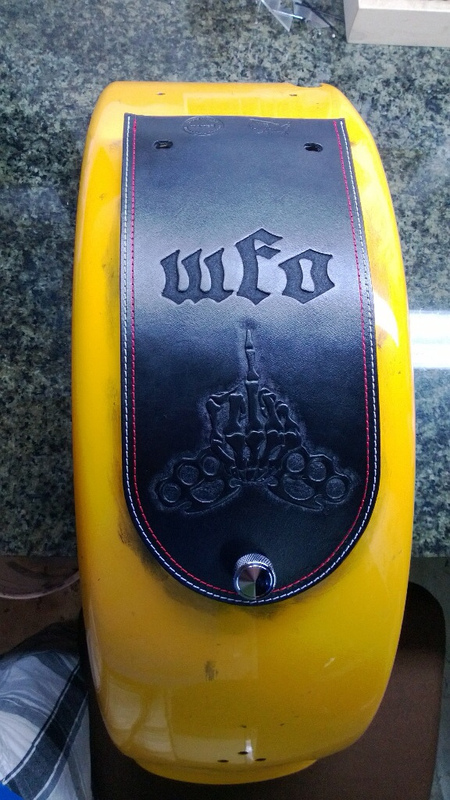 To clarify, the bib is the first picture with the emblem facing the rear of the bike. As happens time to time a client will change their minds mid project on a color, tooling, etc. or I transpose the model year in the request and I end up with an extra bib. 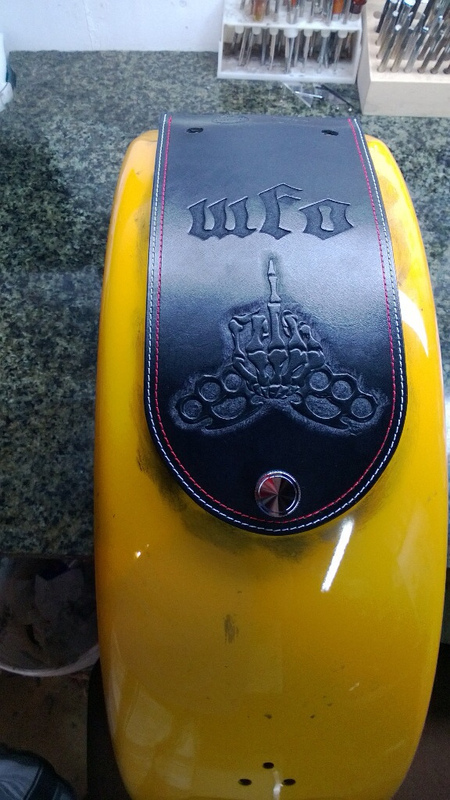 So here today, I’m offering up a ready to ship rear fender bib made for the 2006-2013 Harley-Davidson Fatboy models (FLSTF, FLSTB & FLSTFE) with “WFO” (Wide F**king Open (throttle)) and a friendly wave from Mr. Skeleton and his knuckles hand tooled into the 6oz veg-tan leather. Hand dyed & finished, the edges were stitched up with UV resistant polyester 3 strand MIL spec thread in Silver and Fire Red. 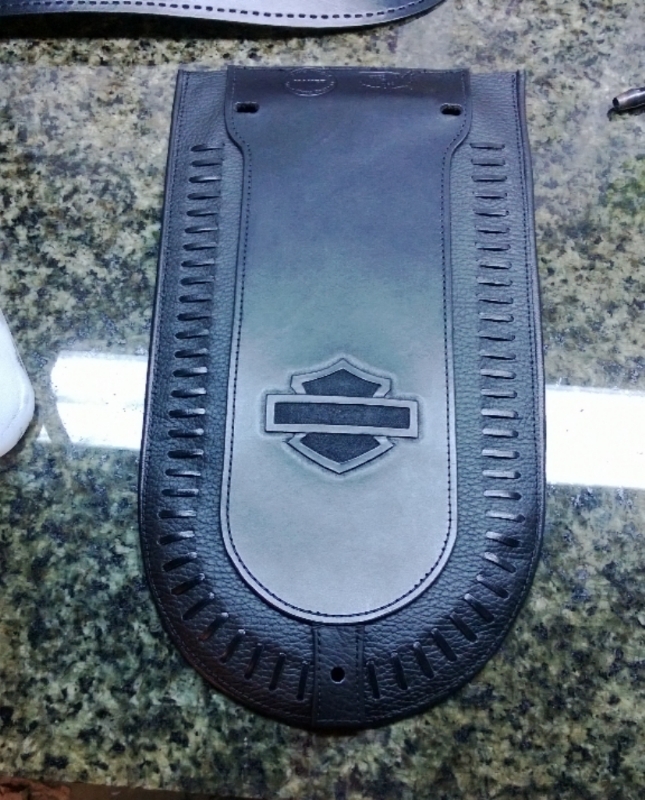 There is a soft felt backing on the underside to protect your shiny paint. 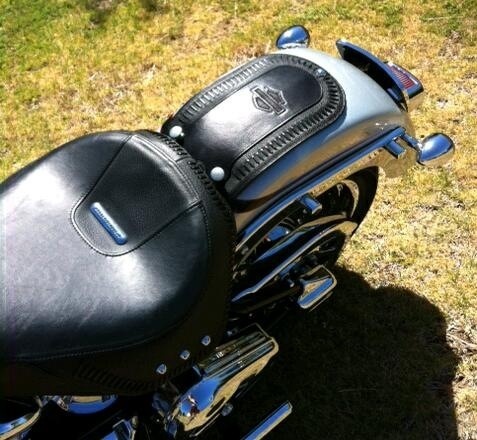 The bib uses the factory seat mounting locations to secure, hardward is not included. 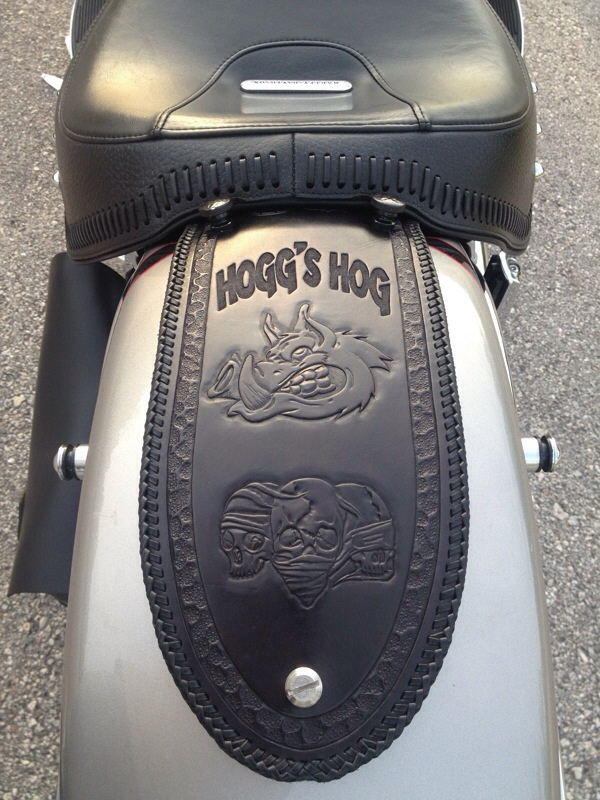 Here’s a pic of a similar bib installed on the owner’s bike.